Tredyffrin Special Election Supervisor candidates – Where do they stand on the digital billboard, historic preservation ordinance and transparency? Know before you vote! How many of you know that there is a special election on November 6 to fill an at-large seat on Tredyffrin’s Board of Supervisors? And that for the first time in township history, both candidates running to fill the vacancy are former supervisors! The last time that there was a special election on the ballot in Tredyffrin Township was in May 2011; a highly contested race between Mike Heaberg (R) and Molly Duffy (D) to fill an interim supervisor seat, as a result of Warren Kampf’s election as PA State Representative. If you recall, the special election results were so close that the winner’s name changed when malfunctioning voting machines required ballot hand counting. Ultimately, Heaberg was declared the victor and in the general election match-up race the same year, he won a regular 4-year term. Now seven and a half years later, township residents will be choosing a supervisor in the special election on Nov. 6. In the sea of political campaign lawn signs are a couple of locally familiar names – Republican Judy DiFilippo and Democrat Mark Freed are the special election candidates running to fill the vacated at-large seat on Tredyffrin’s Board of Supervisors. Republican Sean Moir, a second term supervisor abruptly resigned last month, having moved from the township and therefore no longer eligible to serve. The term for the vacated seat runs through 2019. The good news for residents is that both DiFilippo and Freed are seasoned township supervisors – Judy served for twenty years, six as its chair and Mark completed one four year term (2014-17). Whoever wins the upcoming election will determine the party majority on the Board of Supervisors. With the departure of Moir (R), there are three Republicans (Heather Greenberg, Paul Olson and Trip Lukens (and three Democrats (Murph Wysocki, Matt Holt and Kevin O’Nell) currently serving. Because so often local township votes come down on party lines, the impact of who fills the seventh seat could be significant and if Freed wins, it will mark the first time in township history for a Democrat-majority board of supervisors. The township and its residents is embroiled in a serious issue that would forever change the landscape and village feel of Paoli – the proposed digital billboard at the intersection of Rt. 252 and Lancaster Ave. I remain troubled that as a community we were kept in the dark for 18-24 months while township supervisors discussed the proposed digital billboard. The public only learned at the 11th hour with the township solicitor Vince Donohue using words like “negotiations” and “settlement agreement” in advance of the Catalyst presentation. I, like many others took that to mean that the digital billboard was a fait accompli. With nearly 2,500 signatures showing support for the Change.org petition to “BAN the Digital Billboard in Paoli”) and a GoFundMe exceeding its goal, the community is fully engaged. The laws signs are scheduled for delivery this week! 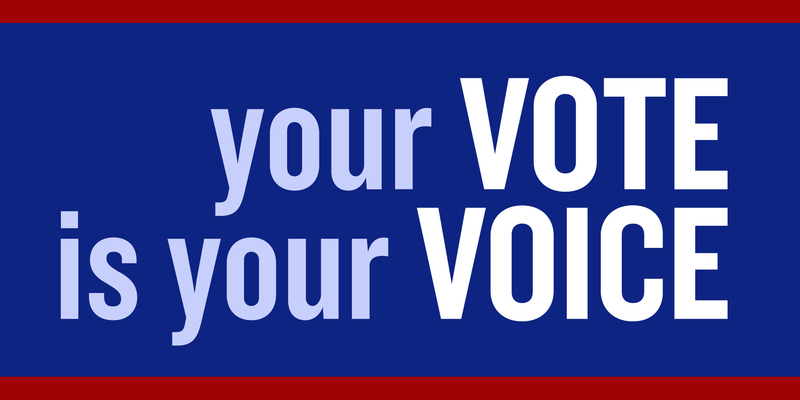 It is critical that voters know where special election supervisor candidates DiFilippo and Freed stand on important township issues – the proposed digital billboard, historic preservation ordinance and transparency in local government. The candidates received 3 questions from me and were asked to respond in 100 words or less to each question. The following are the questions and the candidate responses, in the order received. Question #1: As you are aware, the Tredyffrin Township Board of Supervisors is entertaining a proposal to construct a digital billboard at the intersection of Rt. 252 and Lancaster Ave. in Paoli. The community has been told by the township solicitor that Catalyst Outdoor Advertising will initiate legal proceedings if the digital billboard is not approved. If you are elected before the vote occurs, how will vote and why. Candidate Judy DiFilippo (R) response: I do not support the proposal by Catalyst Outdoor Advertising to construct digital billboards at the Route 252/Lancaster Avenue intersection. In addition to the concern for safety of the traveling public, in my opinion, the mass of the signs proposed is not appropriate on that site. They do not reflect the overall aesthetic desired in Tredyffrin and do not respect the existing structure and its significance. If there is a deficiency in the Township’s sign ordinance relating to digital signs, a moratorium should be considered on any future applications for digital billboard signs until the ordinance is corrected. Candidate Mark Freed (D) response: I oppose the Catalyst digital billboard proposal. This billboard is wrong for Tredyffrin Township and would result in the destruction of a valued historic resource. I have opposed the billboard since the concept was first floated by Catalyst when I was on the Board of Supervisors. I advised both my fellow Board members and Catalyst of my grave concerns. I have not seen anything in the recent presentations to change my opinion and remain opposed to Catalyst’s proposal. Question #2: Unlike most Main Line townships, Tredyffrin does not currently have a historic preservation ordinance. Please comment as to whether or not you would support such a township ordinance and why. Candidate Judy DiFilippo (R) response: The Township has an award-winning 2003 Historic Resource Survey that lists hundreds of historic buildings and it explains the historic and/or architectural significance for each. Valley Forge National Historical Park lies within Tredyffrin. We have a significant link to the founding of our country. We should be proud to share that history. I support the creation of an ordinance that appreciates and protects our most significant historic resources. Pennsylvania’s Municipalities Planning Code and Chester County’s Planning Commission have tooIs available to help us do that, including adaptive reuse. We can protect historic resources and still respect an individual’s property rights. Candidate Mark Freed (D) response: I support a historic preservation ordinance that protects our Township’s valued historic resources. We must recognize Tredyffrin’s rich historic heritage. We must also be mindful of the rights of the owners of historic resources. I understand that the Historical Commission has proposed an ordinance amendment that would prohibit the demolition of designated historic resources unless reviewed by the Historical Commission and approved by the Board of Supervisors at a public hearing. This amendment would prevent the issuance of over-the-counter demolition permits that have resulted in almost immediate demolition of our historic resources. It would be a significant step forward. Question #3: The support for openness and transparency in local government often appears on candidate campaign literature. What does it mean to you for local government to be open and transparent? Please be specific. Candidate Judy DiFilippo (R) response: Transparency means you abide by the Sunshine Law. Certain matters dealing with Township personnel or pending litigation can be discussed in Executive Session by the Board and the Solicitor. When Executive Session meetings are held, it is announced during the Public Meeting. All Township Commissions, Advisory Councils, and Boards must abide by the Sunshine Law as well because their decisions and recommendations also impact the Township. Open discussion by the Board and with the public is the only place for decision-making. The public should be able to rely upon that and upon the trust given to the individuals they elect. Candidate Mark Freed (D) response: To me, openness and transparency mean providing the public with information in a timely manner, giving the public the opportunity to express their views at public meetings and elsewhere, listening respectfully, responding forthrightly, and letting the public know that their voices have been heard and respected. They mean being clear and direct with the public about the Board’s decision-making process. They mean remembering that Board members serve the public. I received the following press release Sunday morning from a Pennsylvania State Education Association (PSEA) representative. What: Teachers and educators of the Tredyffrin/Easttown Education Association (TEEA) are holding an Informational Picket before the next School Board meeting to protest their lack of a new collective bargaining agreement (CBA). The CBA expired, June 30, 2017 and both parties met one time over the entire summer. The membership is frustrated by the lack of progress in one of Pennsylvania’s premier school districts. Conestoga High Schools was recently ranked the best high school in all of Pennsylvania. Who: Hundreds of Teachers, Parents and Educational staff of TESD School District. Visual Highlights: Teachers will assemble prior to the School Board meeting, holding signs and marching and chanting for a new contract. Community members and families are invited. Dr. DeSipio’s statement is confusing and unsettling – although the teachers’ contract expired June 30, 2017, the District held no negotiating meetings during the summer! No contract negotiation meetings between the District and the teachers union “until the end of August”! This makes no sense. It is impossible for the community “to take a side” in the contract negotiation battle between the school district and the teachers union. Why? Because the taxpayers have received no information from either side about the offers/demands. The teachers are asking for a “fair and competitive settlement” … wish I knew the offer on the table. The public cannot possibly know what is “fair” without knowing the contents of the offer. The secret negotiations between the District and the teachers union once again underscore the need for transparency. Getting the state union officials from PSEA involved, the T/E teachers will show solidarity with signs, marching and chanting on Monday night before the school board meeting. Working without a settled contract is difficult but isn’t this “informational picket” apt to make the contract negotiation situation more contentious? Looking for public updates from the TE School Board on District lawsuits, teacher contracts … but none given! I attended the final TESD school board meeting of the 2016-17 school year on Monday night for several reasons. First, I wanted to hear the District’s statement about the two important lawsuits filed in the last couple of weeks. On May 17, Thomas Batgos, an assistant Conestoga High School football coach fired by the T/E School District in the aftermath of the alleged hazing and sexual assault filed a lawsuit against District administrators – Superintendent Dr. Richard Gusick and Conestoga High School Principal Dr. Amy Meisinger. The lawsuit cited defamation of character, misrepresentation, fraud, improper termination, etc. and seeks damages of at least $50,000 in compensation plus punitive damages. On May 8, a Federal lawsuit was filed against T/E School District and Conestoga High School Principal Dr. Amy Meisinger. The lawsuit alleges that District administrators and teachers at Conestoga HS tolerated a culture whereby Arthur Phillips, a 67-year-old instructional aide could repeatedly sexually abuse a 15-year old female student. The lawsuit filed by the parents of the student, seek damages of at least $75,000 in damages and calls for the resignation of Dr. Meisinger. There was no statement from the school board on these lawsuits. Nothing, nada, zippo … I get that this a legal matter but what about an acknowledgement from the school board that the lawsuits exist? What about a reassurance that all policies/procedures related to suspected sexual abuse will be reviewed and updated as needed? The TE School District is more than school rankings and the number of college acceptances — it is the safety of our children! The law firm in the federal lawsuit, Ross Feller Casey, has won record-setting awards for its clients, including victims of predatory sexual abuse like seven men who were victimized by Penn State football coach Jerry Sandusky. This lawsuit has the potential to bankrupt the District financially and yet the board makes no public statement. Secondly, I attended the school board meeting to receive an update on the District teachers’ contract, the non-instructional employees (TENIG) contract and the Act 93 (administrators) agreement – all three of these contracts are due to expire in two weeks, on June 30, 2017. There was no statement from the school board on the status of the TEEA or TENIG contracts. The school board did however approve a raise of 1.7% plus a 1% bonus for District administrators to extend the Administrator Compensation Plan (Act 93 Agreement) through June 30, 2018. And finally, I attended the school board meeting to see how the school board was going to handle the passing of the final budget for 2017-18 given that the TEEA and TENIG contracts and the Act 93 Agreement account for 70% of the budget and these items were labeled ‘TBD’ (to be decided) in the budget. During the budget discussion prior to the vote, there was no discussion about needing any contingencies for these (soon to expire) contracts in the budget. Although the preliminary budget had contained a 3.435% tax increase, the board agreed to lower the tax increase before approving the final budget. The school board passed the budget 9-0 with a 3.2% tax increase for 2017-18. The newly passed budget assumes no increases for teachers and non-instructional employees. By my calculations, this budget for 2017-18 marks 13 consecutive years of tax increases. You would have to go all the way back to the 2004-05 to find a ‘no tax increase’ year. I attended the school board meeting expecting to hear updates about specific important issues facing the school district. Instead I left the meeting feel very disheartened about the lack of information. The school board has a responsibility to involve the community and to communicate clear information to the public. The importance of transparency and providing public information to the community cannot be understated. Last week a tentative agreement was reached between Lower Merion School District and their teachers. The deal between LM and the union was made in secret, with a process devoid of transparency. The proposed teacher’s contract and its terms were not published for public review. There are rumors that the TE School District is currently in ‘Early Bird’ contract negotiations with the teacher’s union. Because of the existing situation in Lower Merion, rumors of early bird talks and five seats on the TE School Board up for grabs on Election Day, there was discussion as to where our candidates stand on this issue. The following email was sent to the ten Tredyffrin and Easttown school board candidates on Saturday. I know that you are all very busy campaigning in advance of Election Day. Tredyffrin resident Ray Clarke added a comment on Community Matters regarding the teacher contract, negotiations and keeping the public informed. He has spoken with several of you regarding his concerns, particularly given what is currently going on in Lower Merion School District. As a result, I am asking you to read the following and provide a very brief (100 words or less) response to me by 9 PM, Sunday, Nov. 1. The question and all candidate responses received will appear on Community Matters on Monday, Nov. 2. Negotiating union contracts (teachers and support staff) will be important tasks for the new Board. In Lower Merion School District, a secret deal is playing out between their school board and the teachers union. Much to the chagrin of Lower Merion taxpayers, the union members get to review the contract before signing but the public is left in the dark and provided no information. During the last teachers’ contract negotiations, the TE School Board moved in the correct direction with periodic updates to the public. Assuming that there are no secret “Early Bird” deals already in discussion between the current Board and the union, [if elected] where do you stand on publishing any proposed contracts to the public at the same time as the unions send it to their members? In addition to publishing the terms of the contract to the public before signing, to also include the full annual cost of the contract for each year (including PSERS, salaries, benefits, etc.) with an explanation of how the Board will pay the costs. Again, I understand that you are pressed for time and I thank you in advance. Your responses may help get additional voters to the polls on Tuesday. Because I know how busy the candidates are in the last days leading up to the election, their responses were to be brief – 100 words or less. One hundred words is very short; the second paragraph in the statement above (from “During … costs.”) is 109 words. During this campaign season, most every school board candidate has used themes of transparency, public engagement and responsiveness to citizens in their campaigning literature, meet and greets with voters and during the Chester County League of Women Voters candidate forum. It is for that reason, that a brief response would allow each candidate the opportunity to restate and to reconfirm their transparency commitment to the voters before Election Day tomorrow (November 3). Of the ten school board candidates, responses to the question were received by Kate Murphy (R) and Fran Reardon (D), Easttown, Region 3 candidates; Neill Kling (R) and Neal Colligan (R) Tredyffrin East, Region 1 candidates and Ed Sweeney (R) Tredyffrin West, Region 2. The responses from these five candidates appear below. The four Democratic school board candidates from Tredyffrin (Alan Yockey, Michele Burger, Roberta Hotinski and Todd Kantorczyk) each sent similar emails; all declining to respond, citing time constraints due to the campaign and/or previous personal commitments. There was no response from Kris Graham. If, as rumored (and I do say if) there are early bird negotiations already underway between the TE School District and TEEA, the District teacher’s union, it would not be possible for Ms. Graham to respond. A cloak and dagger approach serves neither party. The union must understand throughout that what their members receive can be no more than what our tax base will reasonably be able to bear. The current PESERS situation resulted from disregard of that sound principle. Thus, I believe that the taxpayers should view the contracts when they are sent to the teachers for approval. I am also in favor of providing a public estimate of how we propose to meet the contractual obligations. The District must conduct negotiations with this estimate uppermost in mind. Publishing it when they are completed is responsible stewardship. Of course, the public should be informed as negotiations move forward….this is by far the largest municipal contract in our community. Start now by presenting the existing economics…total salary, benefits, pension contribution…show the history of these costs. This information, reviewed at an entity level, will not disclose any employees’ personal compensation package and will not violate the rules of new contract discussions. As the process advances, let the community know of the issues…I doubt the Union side would object. People here are pretty fair and can draw their own conclusions on what is just as negotiations move towards a new contract. I would strongly agree to the first proposal if it was consistent with current agreement between the School District and the Union and with the provisions of relevant labor law. As far as his other proposals, I need more information but I am a proponent of maximum disclosure at the appropriate time. I agree with the principle of “MORE” . . . more transparency, more public disclosure, more committee meetings convenient to working parents, and more involvement of residents and stakeholders at an early stage of committee consideration of issues. In my view, more = better. More increases public confidence and protects the taxpayer. In Pennsylvania, salaries and benefits make up the lion’s share of any school district’s budget, generally between 70% and 80%. Pension benefits (PSERS) are set legislatively by the General Assembly and the Governor, and are not negotiated by local school boards. All collective bargaining agreements must be available to the public for review and comment well in advance of the public vote to approve such agreements. Periodic updates during the negotiations can be a helpful tool to inform the public. District estimates of the full annual cost of the contract for each year should be available for timely public examination. In negotiating contracts within the School District, we should maintain a high level of transparency for all parties involved. Periodic updates should be available to the taxpaying public and all other stakeholders. Current annual cost of contracts should clearly be given with the long term effects of PSERS obligations also laid out and presented to the TE community in a timely fashion before any vote by the school board. As a member of the TE School Board, I will work with the full board to give the taxpayers value for their dollar and also maintain the excellence of our schools. Candidates for the TE School Board and the Tredyffrin Township Board of Supervisors participated in a ‘Meet the Candidate’ forum sponsored by Chester County League of Women Voters on Saturday. As an audience member, it was clear that as voters we are lucky as most of the candidates had done their homework. The candidates were prepared, understood the important issues and were able to present their views effectively. The township and the school district are fortunate to have qualified community members willing to take on the challenges of elected office. Improving public communication and transparency, fencing at Valley Forge Middle School, yearly tax increase, real estate development and pension reform remain important issues with residents. The candidates addressed resident questions regarding these issues and others on Saturday. If you were unable to attend the candidate forum, you can find a rebroadcast on the township website as follows. Click here to view the Chester County League of Women Voters ‘Meet the TE School Board Candidates. Election Day is a week from tomorrow, Tuesday, November 3. Before casting your vote, know the candidates! On Thursday, October 29 at the Tredyffrin Township building, the Chesterbrook Civic Association is sponsoring a ‘Meet the Candidates’ event. Open to the public, this will be a good opportunity to ask specific questions of the supervisor and school board candidates. Please plan to attend. Come and ask the tough questions about tax increases, development, student safety, fencing at VFMS, and funding for the fire and ambulance company. Be an informed voter: this election matters. Like many community residents, Chesterbrook resident Doug Anestad has voiced concerns related to the fencing plans at Valley Forge Middle School. Doug sent the following email on October 10 to each TE School Board candidate. He received responses from all school board candidates except for two — Doug did not have a valid email address for Fran Reardon (D) and incumbent Kris Graham (R) elected not to respond. I would like to get your official position regarding some questions concerning the Valley Forge Middle School proposed fences. Your reply by end of the day Saturday, October 17 would be most appreciated. 1) Where do you stand on the Valley Forge Middle School fence issue? 2) Do you think it is a good use of taxpayer money to spend $15,500 to hire a safety consultant to review the VFMS site? 3) Would you support installing additional fencing at VFMS if the safety consultant recommends it? If you would support additional fencing, how would you reconcile this with the public’s right to use the walkways? Thank you for your time in addressing these questions. If you want to know where the school board candidates stand on the fencing issue you can read their full responses to Doug’s questions — click here. 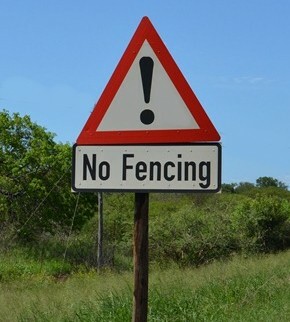 TE School District Submits VFMS Fencing Permit Application … Tredyffrin Township Denies Request! Valley Forge Middle School fencing was not on the Tredyffrin Township Board of Supervisors April 20th meeting, but many Chesterbrook residents attended the meeting and spoke against the TE School Board’s project. The supervisors deferred all questions/comments to the township’s solicitor Vince Donohue for response who told audience members that the township would not get involved until the District made either a “permit request or there was a shovel in the ground”. Chesterbrook residents left the meeting hoping for a more proactive approach by township officials. The School Board’s action attempted to violate the legal agreement between TESD and the Chesterbrook Civic Association. Without an amendment to the Special Exception granted by Tredyffrin Township’s Zoning Hearing Board in 2002, how does the School Board think that they can move forward with their planned fencing project at VFMS? Unless something has changed in the last couple of days, there has been no movement on part of the School Board or the District to resolve the VFMS fencing situation directly with the Green Hills residents or with the Chesterbrook Civic Association. As David Miller, president of CCA told us at the supervisors meeting, there has been no return of phone calls or emails to either himself or to the Green Hills and CCA attorneys from the School Board or their attorney David Falcone of Saul Ewing. Yet the District went ahead and made a permit application for the fencing! I encourage Chesterbrook residents and Valley Forge Road neighbors to bring their chain link fencing opposition message to the TE School Board meeting on Monday, April 27, 7:30 PM at Conestoga High School. At some point, the School Board has to listen to those that they were elected to serve. The Unionville-Chadds Ford School District in southern Chester County is a high-ranking school district and often enjoys the same elite national standing for student test scores, etc. as the T/E School District. As an example, high schools from both school districts received gold level standing in the 2013 US News & World Report with Conestoga ranked #5 and UCF ranked #10 in Pennsylvania high schools. Because of their similar academic achievement levels and their geographic proximity (both in Chester County) the two school districts are often compared on Community Matters. Additionally, readers of CM may be familiar with regular commenter Keith Knauss, a member of the U-CF School Board, who often offers his experience and personal insight in our school district related discussions. This week saw a surprise resignation of U-CF school board director Holly Manzone. On the surface, Manzone’s decision is not significant for TESD residents, but in reading the resignation letter (that includes the reasons for her departure), her words contained an eerie familiarity. During the recent League of Women Voters debate, most of the T/E school board candidates used buzzwords like trust, transparency, and open communication and morale issues. All but one candidate supported the need to improve the communication relationship between the Board and the residents. TE School Board president Kevin Buraks, who is seeking re-election, disagreed with his fellow candidates and stated during the LWV debate that the Board already provides an open forum for the public and that there are no morale issues in the District. “Open discussion is frowned upon and dissent is squelched at both the public and executive meetings. Executive sessions are over-used. If there is a way to characterize a topic so that it can be discussed privately in executive session, it is. Engineering topics in this way may allow the district to comply with the letter of the Sunshine Law, but it surely violates its spirit. Community members raising issues are often themselves considered the problem. Energy is expended complaining about these individuals rather than focusing on improvement. Access to underlying data and original documents is withheld, even if it is not confidential. “Confidentiality” is used as an excuse to withhold access to broad categories of data, without foundation. Similar to the issues raised by Manzone, we have heard several T/E School Board candidates voice concerns and suggest the need to improve the communication, transparency and trust issues in the District. My takeway — whether it is UCFSD, T/E or any other school board — open dialogue between school boards and the residents they serve is essential to building mutual trust; citizen input should be respected and welcomed. Yesterday, the League of Women Voters held the TE School Board candidate debate and the Tredyffrin Township Board of Supervisors candidate debate. I attended both debates. Although the debates were not shown live, they will be available for viewing (Comcast 2 and Verizon 24 channels) sometime after Monday’s Board of Supervisors Meeting. My guess is that there will be separate schedules for the two debates – check the township website for details. Unfortunately, due to the lateness of scheduling, the school board debate was limited to a 1-hour format versus the 2-hour supervisor debate format. In speaking with the League of Women Voters representative, Mary Lou Dondero, before the debate, I learned more about their scheduling process. Ms. Dondero was none too pleased about the lateness of which the school board candidates debate was scheduled. When asked who was responsible for debate scheduling, it was interesting to learn that it not the local political party leaders that should ask but rather the candidates themselves who should contact the LWV. This is good information to know going forward. Six of the eight school board candidates participated (due to prior commitments, Easttown Democrats Maryann Piccioni and Jean Kim were unable to attend). After each candidate presented a 2-minute opening personal statement, the moderator read questions, which audience members had anonymously submitted. Each question was answered by all candidates with the moderator giving each candidate the opportunity to be first to answer. Following the questions, each candidate had an opportunity for a 2-minute closing statement. The LWV debate is not the traditional format that many of us recall from our high school/college days, but rather a Q&A forum. The downside of the LWV debate style is it does not allow for rebuttal by candidate. Case in point, the LWV repeatedly asked the candidates (both school board and supervisors) to respond to the specific question yet several candidates answered the LWV questions with accusations against their opponents. Due to the LWV format, it made it difficult for the candidates to defend the accusations. Everyone that follows Community Matters knows that I fought for a school board candidate debate. Important school district issues surfaced this year, making for a contentious situation for all involved — the Board, administration, employees and the public. For my efforts in moving the school board debate forward, some questioned my agenda. If I had an agenda, it was simple – voters need to ‘know’ the candidates and candidates need to have the opportunity to deliver their views on issues, before Election Day. Hindsight being 20/20, I’m actually glad that I had nothing to do with the school board debate other than to attend. I cannot be accused of unfairness or a bias in the organization of the debate – candidates were not coerced; they own their words. For those of us who regularly attend and/or watch the school board meetings, there was little surprise in most of the audience questions. As a result of contentious school board meetings this year, many of the questions related to communication, trust, transparency and morale issues, — asking what would the candidates do to ‘improve’ the current situation, if elected. Five of the six candidates spoke of the need to improve communication and several of them mentioned morale issues. School board director Rich Brake (R), who is seeking re-election, accepted that there have been communication issues between the Board and the residents and spoke of the need to improve the dialogue, suggesting town hall meetings. Brake believes that the negativity issues need to be handled directly and wants to bring people together. It was refreshing to have a current elected official acknowledge the problems, accept responsibility and suggest ways for improvement. With a similar response, Brake’s opponent Scott Dorsey (D) supports greater transparency and open dialogue between the public and the Board, suggesting a public advisory board. Dorsey spoke out against the Board’s use of the consent agenda and suggested its use should be reconsidered. The consent agenda is designed for routine items, such as meetings minutes. However, as Dorsey explained, the consent agenda takes away the public’s right to question an issue. The consent agenda can bury an item that the Board does not want publically discussed. In my opinion, in 2013 we saw the misuse of the consent agenda by the school board for the hiring of Andy Chambers and the inclusion of administrator raises and bonuses. If the hiring of the former police chief as the District’s security expert or giving raises to the administrators was such a good idea, why not openly discuss them in a public school board meeting, than than buried in a consent agenda. Dorsey was the only candidate to address the consent agenda issue. Easttown Republicans Doug Carlson and Virginia Lastner spoke favorably on the topic of communication, wanting to see greater resident participation and awareness of District issues. Lastner wants the employees to feel that they can speak candidly and not risk their jobs by speaking out. Referring to her background and prior elected positions in Connecticut, Lastner is a proponent of the “listen and learn” concept. Tredyffrin school board candidate Pete Connors (R) remarks on this topic included “morale starts with leadership”. Connors believes that there exists a trust issue in the community and proposed an advisory citizens group. He specifically cited the threat of outsourcing and the proposed demolition of the tennis courts where the Board was forced to reverse their decisions due to the public. Concerned about the Board’s lack of transparency that has decisions being made in private, Connors promoted a greater sharing of information with the public. The consistent theme from Brake, Dorsey, Connors, Lastner and Carlson was the need for the school board to provide greater communication opportunities for the public. Dorsey, Brake and Connors took it a step further and spoke of changing the negative tone, improving trust and respectfulness and supporting the creation of some type of citizen advisory group. As president of the school board, Kevin Buraks (D) was center front to the confrontational monthly and committee school board meetings of 2013 yet did not agree with the other candidates on District morale or communication issues. Unmistakably Buraks is disconnected to the important issues raised by his fellow school board director Rich Brake and by Democrat Scott Dorsey. At times, it was hard to believe that Buraks and Brake are both on the same school board or that Buraks and Dorsey are representing the same local political party. Responding to a question, Buraks stated clearly that there are no morale issues in the District. He further commented that if there were moral issues in the District, the employees would leave. On the issue of communication, his stance is that the school board already provides an open forum, is transparent and that through emails, website, etc. all District information is available. He pointed out that the Board listened to the public about the demolition of the tennis courts and the outsourcing of the aides and paras and reversed their decision. In other words, according to school board president Kevin Buraks, there is no trust, respect or communication issues in the school district. He backed these assertions by continuously pointing to T/E school district’s rankings as his proof. So overall, was there any new ‘news’ or any surprises learned from the school board candidate debate for me? Yes and no. Because I regularly attend the school board meetings and understand most of the issues, some of the information was not new. However, I did not know the background and views of Easttown residents Virginia Lastner and Doug Carlson, so appreciated the opportunity to learn more about them. I know candidates Pete Connors and Scott Dorsey and both have previously spoken out about the District’s communication and transparency issues, so was not surprised by their responses. The surprise was in the school board incumbents performances. Perhaps it is because Kevin Buraks is an attorney, but his stance during the debate was not to back down or take responsibility for any of the public’s perceived ‘miss-steps’ of the school board or of his term as the president. I guess as an attorney, you make a calculation and then stand by your decision, using the mantra of no ‘do-overs’ allowed. Taking the approach that because the TE School District is highly ranked, Buraks wants the voters to believe it is a result of his leadership. Other the other hand, incumbent Rich Brake took a completely different approach and surprised me with his candor. Portraying himself as somewhat of a school board outsider, Brake acknowledged that there needs to be greater dialogue with the public and more openness. Whereas Buraks would have the public believe that everything is cohesive and agreeable among the school board directors, Brake paints a very different picture. These are my personal observations from the school board debate, I welcome others who attended to contribute their opinion. If you did not attend the debate, I would encourage you to watch in on online when it is available. TE School Board & TENIG reach new 3-year contract deal — No outsourcing! What a difference a week makes! At last Monday’s September 23rd T/E School Board meeting, several TESD residents including Peggy Layden, Neal Colligan and Scott Dorsey questioned the Board about the status of the TENIG negotiations. The public was told by Board President Kevin Buraks that contract discussions were moving along and that the Board would report on the process when there was information to report. And Betsy Fadem volunteered that once the responses from the TENIG RFP were received (and reviewed) there would be public discussion in January. The current TENIG contract as well as the TEEA (teacher) contract run through June 30, 2014. When questioned on public communication and transparency issues, Buraks was very specific that the public would be informed of the process although it was not clear how much notice there would be for public review of any proposed contracts. Buraks (and Fadem) responses to residents was counter to the rumblings that some of us had heard regarding the ‘early bird’ contract discussions. Nonetheless, because there was an overt attempt by several Board members to suppress any resident complaints on lack of transparency or public discussion, it was my expectation that the Board leadership would make certain that the public was kept informed. This evening I had a phone call from Mary Minicozzi, the TENIG president. (She agreed that her name could be used and that the information was public). Mary wanted me to hear the TENIG contract details directly from her so that the facts would be correct. According to Mary, TENIG presented a contract proposal to the school board 2 weeks ago and that sometime since that point (she was not certain of the exact date), the Board ‘voted’ to accept the proposal. At today’s TENIG meeting, members voted to ratify with 83 members accepting the contract and 5 members rejecting the contract. This news surprised the heck out of me because at last week’s TESD meeting, President Buraks and Betsy Fadem were talking about keeping the public informed on the progress of negotiations – had they already accepted the TENIG contract offer? The vendor bids were not due back to the District until October 11 so how could the Board know what the expected savings to the District would be. How would TENIG know how much they needed to ‘give back’? Was this not the point of sending the RFPs out to the vendors? In addition, this reasoning lined up with Betsy Fadem’s remark that the discussion would take place in January 2014 (allowing for adequate review of the vendor bids and public input). According to Mary, there were a number of vendors lined up to provide bids to the District – 13 vendors for janitorial, 3 vendors for security, 8 vendors for maintenance, 3 vendors for secretarial and 5 vendors for the cafeteria. Presumably, now the vendors will be immediately notified that the District has cancelled the RFP and has settled the contract. The good news is that the 3-year TENIG contract, July 1, 2014 to June 30, 2017, has no outsourcing of TENIG employees and no discussion of outsourcing to occur during the length of the contract. Any new employees hired will be part of the District (and TENIG) – those positions will not be outsourced. However, there will be wage restructuring for all new TENIG hires, equating to an average of $3/hr. less than current employees in that position. All TENIG employees received a 4-1/2% raise for the final year of their current contract (which is July 1, 2013 – June 30, 2014). In the new 3-year contract, the custodians will receive a 2% salary reduction and additionally will give back 1 week of their vacation. (The rationale is that the District has to hire subs when the custodians are on vacation). The other members of TENIG (security, kitchen, maintenance, and cafeteria) will receive a 4% salary reduction in the new contract but their vacation benefit remains intact. On the benefit side, Mary explained that TENIG currently receives the best healthcare benefits of all District employees – paying an average of $300/yr. for a family health insurance plan. Under the new contract, TENIG member’s health insurance will be on par with TEEA (teachers) members. In the new contract, the TENIG employees will contribute approximately 6% for their health care benefits. For year 2 and 3 of the 3-year contract, TENIG employees receive a freeze on their salary. As an incentive for current employees to leave the District, there is an interesting caveat in the new contract. If any TENIG employee with 15 or more years of District service, voluntarily resigns prior to end of the first year of the contract (by June 30, 2015), they will receive a buyout bonus of 15% of their salary, up to $7K. The idea is to replace some of the higher-paid District employees with new lesser-paid employees, thus decreasing overhead budget costs. So, how much is the new 3-year TENIG contract saving the District? The contract savings includes $400K from the healthcare benefit component, $207K with the employee salary reduction and $207K from the custodian 1-week vacation giveback for a grand total savings of $719K to the District. Although Mary stated that the Board had voted to accept the TENIG proposed 3-year contract and that the TENIG membership ratified the contract, I believe that the contract still has to be officially ‘voted on’ in public, doesn’t it? According to Mary, the Board will sign the contract at a special Board meeting that will be held in conjunction with the Finance Committee meeting. Looking at the upcoming District meetings, the Finance Committee is scheduled for Monday, October 14 – which interestingly is Columbus Day. (The offices in Tredyffrin Twp are closed on Columbus Day, but I guess not for TESD). I want to be clear about something – I am pleased for the TENIG employees; glad they will not be outsourced and that they will not have to worry about outsourcing for the duration of their 3-year contract. However, last week’s School Board meeting has me troubled. After several residents asked for greater public input and communication, the public was assured that the Board was transparent, and that contract updates would be provided, and that simultaneously to early bird negotiations with TENIG that the Board would also review the results from the RFP. With agreement from the Board and TENIG on the new contract, there will be no vendor bids. I would like a copy of any and all agreements related to the Early Bird TEEA contract negotiations particularly related to the “ground rules” for the Early Bird talks. I understand that this will not include any employer or employee contract offers, that is and should remain confidential. Again, thanks to Ray Clarke and his reporting on the T/ESB Board meeting. I could tell he was trying to accurately portray the Board’s announcement of the Early Bird negotiations and the specific phrases he used led me to believe they may have been part of a written document. Thank you for your timely response to my request. You’ve indicated that the document(s) that I requested do indeed exist which is a great start and not something that I had known for sure. As they do exist, I am even more anxious to see them in the public domain. While I understand the potential need for legal review “to determine whether record is a public record”; I do have an opinion as to the timing of that review which you have indicated will take 30 days (September 27, 2013). Certainly documents of this nature were constructed with legal review/input; meaning that the inside or outside legal team is already familiar with the nature and content of the documents. The delay here is only to determine if the documents in question are of public record. As they do not contain any actual negotiating points between the parties, I would think the determination of “public record” would be a quick call. To be fair, I am not an attorney so I do not offer this as a legal opinion but only one of common sense. 30 days seems awfully long for this review. This contract which is being negotiated under a gag order is of paramount importance to the members of our community…it is the largest publicly funded workforce in our townships. Results of this contract will have a profound impact on taxing policy for years. The Board has stated its intention “To keep the public informed of the progress as it moves forward”. My request is simply to inform the public of the parameters involved in the formation of the “process that has been agreed to by the Board and each union” (both quotes form the 8/26/13 ActionLine posted on your website). Please consider expediting my request. In recent years, this Board’s actions related to (lack of) transparency have been brought into question several times on critical issues important to our citizens. The Board’s rhetoric is one of openness but there is an opinion among many taxpayers that this Board is not as open in communicating with the community as they have promised. Let’s turn the page on the past and start a process of inclusion with the citizens who are interested in these issues of local importance. To date, I’ve received no follow-up communication from the District. A review of the District policy concerning Public Access to School District Records does allow for a maximum delay of up to 30 days for information requests. That’s what I was given but it doesn’t seem necessary in this case for the reasons I’ve cited above. I’ve also written to the members of the Board seeking their assistance in expediting this request. Maybe your readers would have interest in this and you have my permission to print this if you see fit. For the record, the District’s Business Manager Art McDonnell is the Open Records Officer — McDonnell is the one that responds to resident’s right-to-know requests. As follow-up, I note that Neal has contacted members of the school board in an attempt to expedite the right-to-know request. I am assuming that Board members have not responded to him. I don’t understand why the agreement setting the negotiation ground rules between the District and the teachers union is not considered a public document. The negotiating ground rules were established and apparently both sides agreed — so why shouldn’t the public know the rules. We all want the negotiation situation to be productive but the community deserves transparency. The negotiating parties should provide the bargaining framework for the taxpayers.